Many of my favorite comedies are British. Among the flms are Cold Comfort Farm, The Ladykillers (the 1955 one with Alec Guinness), The Lavender Hill Mob (also with Alec Guinness), the first Pink Panther film and just about anything else with Peter Sellers. The series include both Yes Minister and Yes Prime Minister, and, of course, Jeeves & Wooster. Amazon just offered Rumpole of the Bailey, all forty-two episodes (35 hours) for a good price, I bought it, and it just arrived. Many episodes are available on YouTube. The series was shown in the United States on PBS from 1978 to 1992 and starred Leo McKern in the title role. 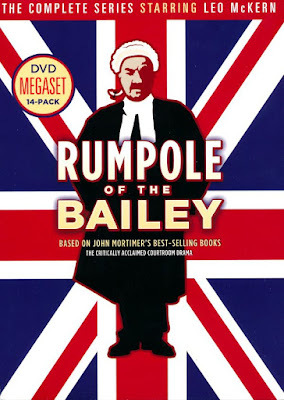 “Rumpole, you must move with the times."